Diversity, inclusiveness and American history were the big themes of UT Elementary’s annual Reading Rock Stars event held last Friday, Oct. 26. The much-anticipated literary event, held on the eve of the annual Texas Book Festival, featured three popular children’s book authors: Nathan Hale, Vanessa Bradley Newton and Xavier Garza. Graphic novelist Nathan Hale kicked off the morning festivities with an interactive storytelling of Lewis and Clark’s many misadventures. He is well known for his “Hazardous Tales” series of graphic novels that explore pivotal points in American history. 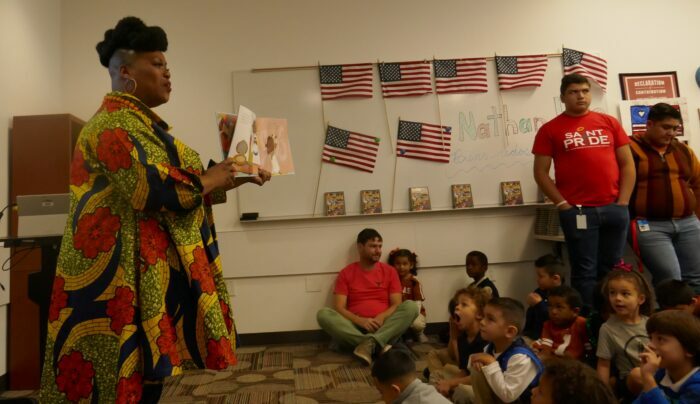 Vanessa Bradley Newton gave an uplifting talk to the youngest Little Longhorns, emphasizing the value of stories featuring diverse characters who reflect our world. She is the author of several children’s books including “Grandma’s Purse,” published earlier this year. 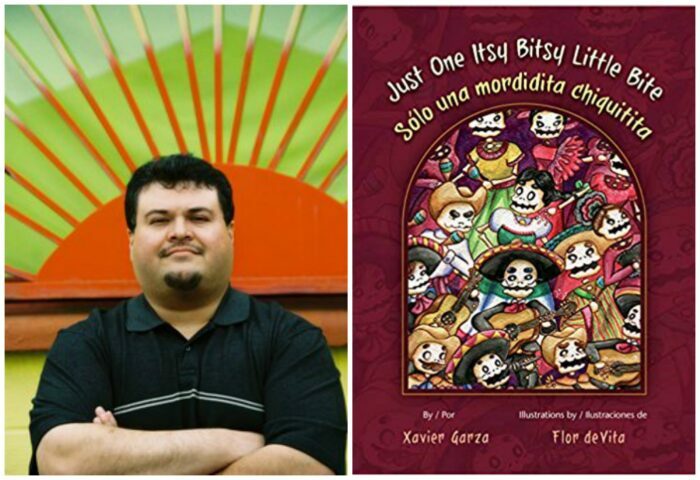 The festivities concluded with a talk by Xavier Garza, author of several children’s books including the recently published “Just One Itsy Bitsy Little Bite.” The book introduces young readers to numbers and the Mexican cultural traditions of the Day of the Dead. 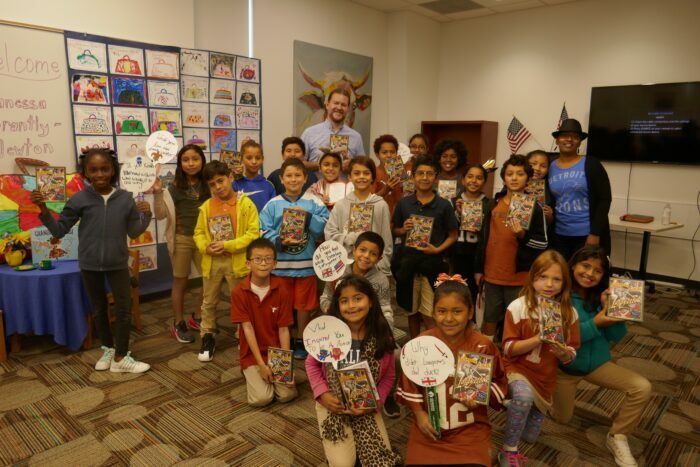 Every student took home an autographed copies of the authors’ presented books, and the library received a set of books to be enjoyed by young readers for many years to come! The event was made possible by the Texas Book Festival’s Reading Rock Stars Grant. 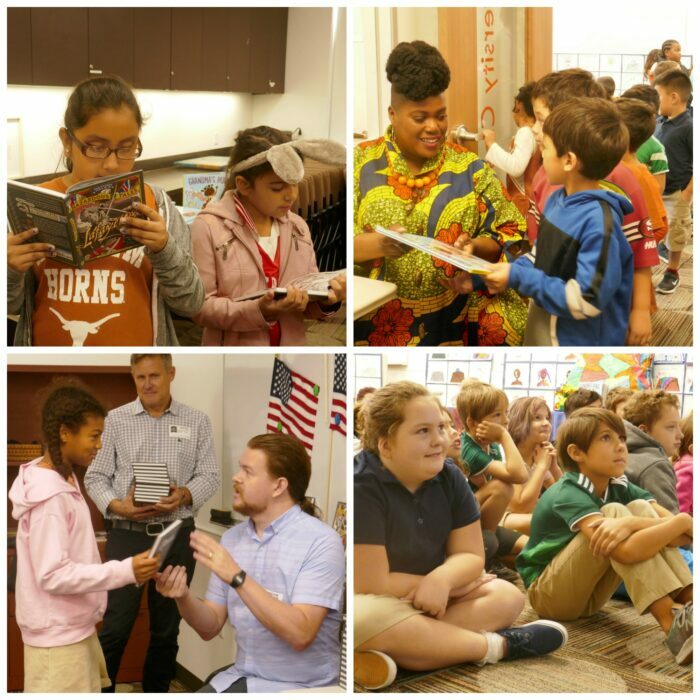 The program brings books to life for young readers in which selected authors from across the country are invited to present their works to students in Title I schools. Go to our Flickr site for more photos!